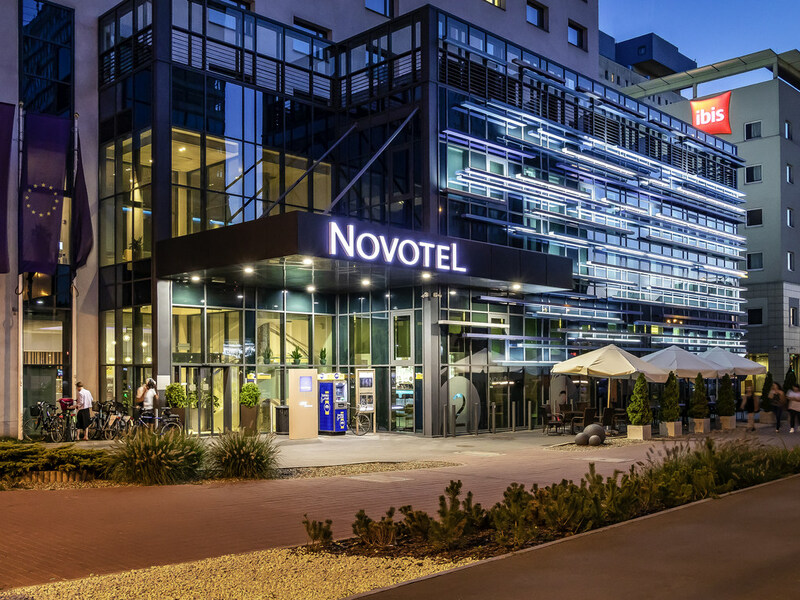 From the 4-star Novotel Lódz Centrum hotel you can get anywhere quickly, including to the airport and the train station. The hotel's modern architecture is eye catching, and its stylish interior combines functionality and elegance. Comfortable rooms offerbig beds, heated floors in bathrooms and WIFI. Great technical and conferencing facilities, bicycle hire and experienced staff make every stay at Novotel a real pleasure. Double room with one lounger, one bath robe, three coffee pods, very odd. Room was quite small too. Good location to explore from. Helpful front desk team. Shower was good. More letters needed to submit the review, so I'll just type, strange. Very helpful staff. Great location for main sites. Comfortable room. Good location and clean rooms. Rather basic breakfast and a small gym. usually, I was staying in the near by Ibis hotel, also belonging to the Accor group. But since the breakfast in Ibis has been unbearable this forced me to look for new options. The service in Novotel was excellent, the breakfast buffet gave many options also for vegetarians, excellent selection of fresh fruits. This Novotel also has new mattresses, extremely comfortable, and not so soft, as some old Novotels used to have. everytime a nice stay with friendly and happy Staff. Comfortable, with delicious breakfast pack prepared early in the morning. We really liked the breakfast packs provided: opulent and delicious. The room was comfortable, so nothing to complain about. Very good hotel. Very clean. Efficient staff. Stay was great. Hotel is very clean and room size is also fairly good. Only one point I would prefer that hotel should improve is about breakfast variety. Should change items server in breakfast.